Karmada Arts: When Calendars Attack! Anyway, I had a couple of updates for you on the convention scene and the comic scene, and frankly I just feel like I should talk more about stuff rather than just make this a blog where I hold all my convention recaps (even though they might be useful?). First up, is TEKKO CON. Because I think I had some sort of crazy episode, I ended up signing up for all these conventions, and while that's GREAT, some other stuff happened, and now I'm trying to squish everything in all at once, and if I don't collapse by the end of May, it'll be a MIRACLE. I'll be in their alley at table 58! 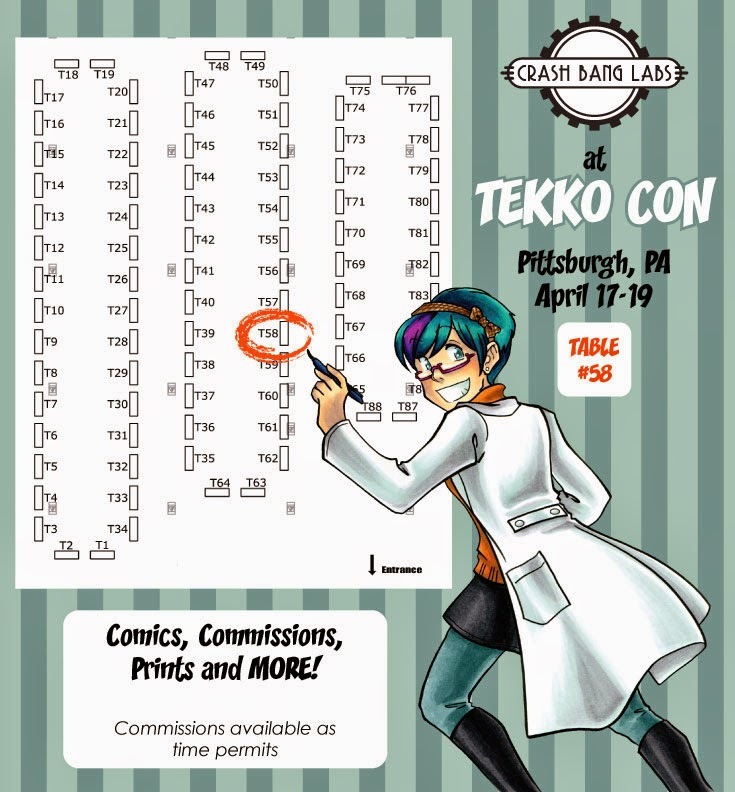 I've never been to Tekko (let alone stayed in Pittsburgh - I saw it through a car window), so I hope that the convention is a nice one. It's only 5 hours away, so it's within ACen distances for me! ...and I still can hardly move today. I'm getting too old for this some days (I'm too used to sitting behind a table...), but it was a pretty good time. The show looks to be growing, but it's still figuring out WHAT it wants to be,I think. 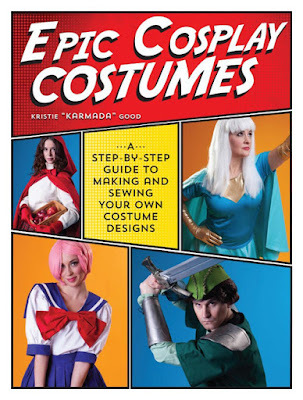 Also, this year they hosted the WORLD COSPLAY SUMMIT US FINALS, which was awesome because it was in my backyard! My former team, Karmaluna Cosplay, ended up placing second, and they had an ABSOLUTELY amazing skit that still gives me chills. I'm so super proud of them, because they were so pretty and creative and wonderful, and I feel honored having been part of it in the past. BUT LET ME TELL YOU - SEEING IT FROM THE AUDIENCE..... is a whole different experience, and a JOY to watch. I kinda wish more finals like this would be near me.... I'd watch em every time! So, long story short, WHY haven't I updated? 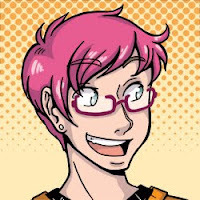 Why is my comic on hiatus? Where have I BEEN? I promise you all, I think about what I wanna put up here all the time (and am heavily resisting making old-lady complaints about dem kids these days), so hopefully I'll have some interesting chats for you! ...WHEW. Seriously. It's a crazy time over here. Here's hoping I survive until June! XD Then things hopefully ...kind of.... slow down.